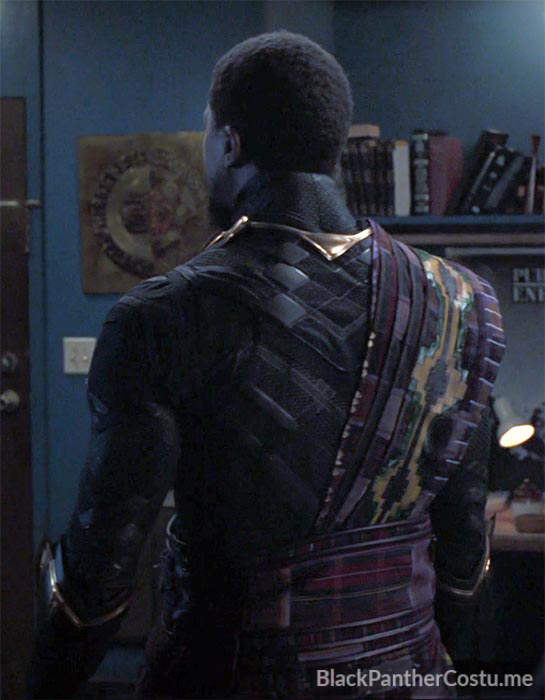 Young T’Chaka appears in an Oakland apartment. 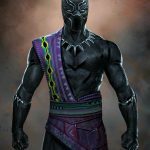 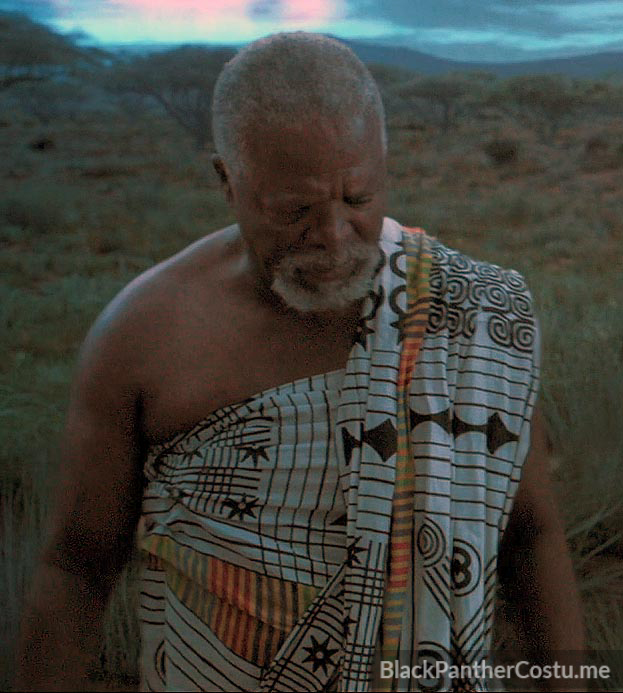 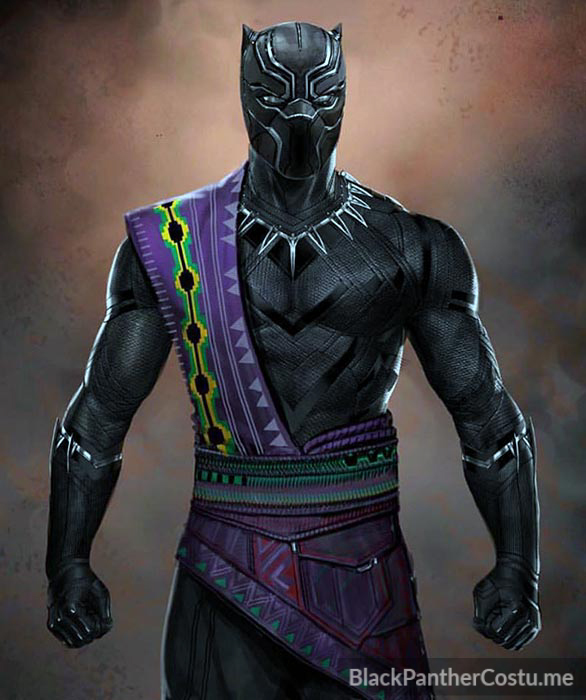 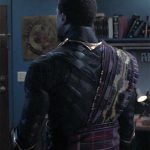 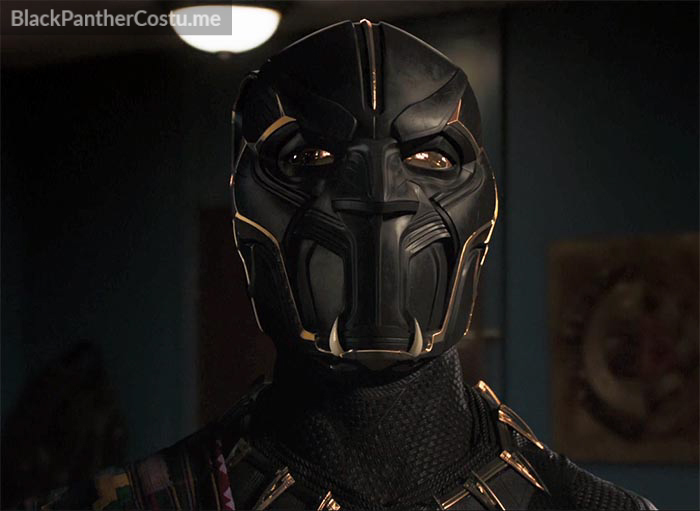 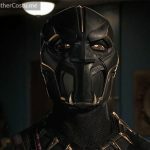 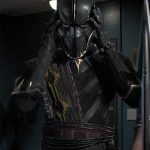 The Panther suit is the same suit T’Challa wears early in the Black Panther film (the Captain America: Civil War suit) but it’s covered with purple kente cloth over shoulder and hips. 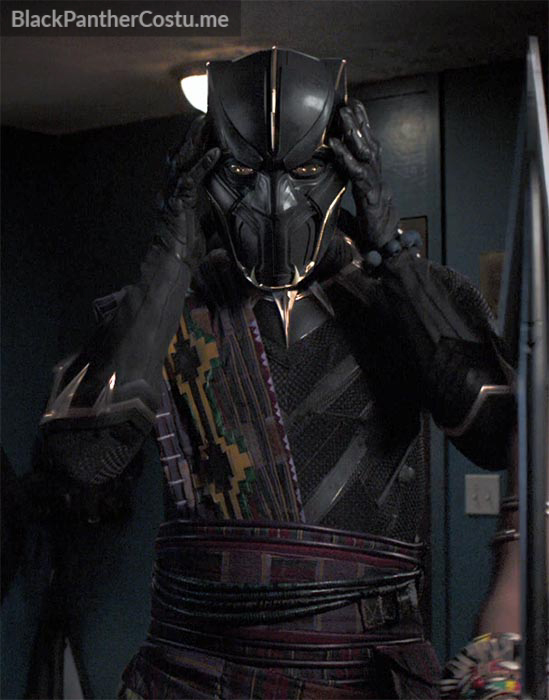 The mask appears to be unique to T’Chaka. 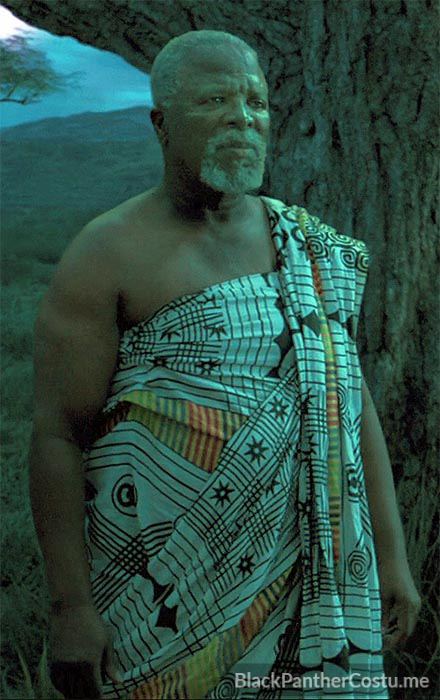 A simple wrap outfit – white printed kente cloth.